Every once in a while, a movie comes along that has the right balance of themes and execution to make it into an instant classic. When I first saw trailers for Green Book (2018), I initially thought it was just going to be an inverse of Driving Miss Daisy (1989). Instead, what I got was so much more than that. Green Book tackles the difficult task of presenting a harsh mirror on our past, with a knowing wink that some of these challenges are still present today. It is more subtle than BlacKkKlansman (2018), but the message still gets across in a heartwarming and wholesome way. What makes Green Book so engaging is the simplicity that it approaches such a nuanced and complex approach to the topic of racism. The irony that rich white people in the south would hold Dr. Don Shirley (Mahershala Ali) in such high regard as a musician but treat him as less-than-human the second he is not performing for them is stunning and appalling. The strength of the story certainly comes with the repartee between Shirley and his Italian driver, Tony Vallelonga (Viggo Mortensen), in a way that shows all people can change for the better, even if it’s in small steps. I have to commend the excellent music in this film, merely as a side-note to the fantastic screenplay. So many moments were laugh-out-loud funny or tears-to-your-eyes touching due to their ability to tie together moments that appeared earlier in the movie. Sure, some may call this film predictable or cliché, but it works in a way that’s so engaging that you can’t help but lose yourself in its narrative. It also doesn’t hurt that the cinematography that brings the story to life is top notch as well—utilizing shallow depth of field to masterful effect. 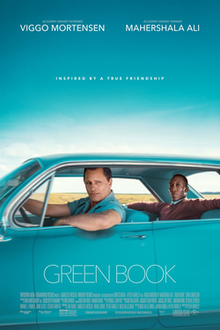 An instant classic that everyone should see at least once, I give Green Book 5.0 stars out of 5.